YourLastHost works with ServerComplete's fully redundant facility in Jacksonville, Florida. Located a 421 W Church Street in Jacksonville, Florida, this location acts as a carrier hotel for the Southeast. Excellent domestic connections are made available, along with submarine cables connecting to the Caribbean. YourLastHost offers many different services that are available in Jacksonville, Florida, USA. 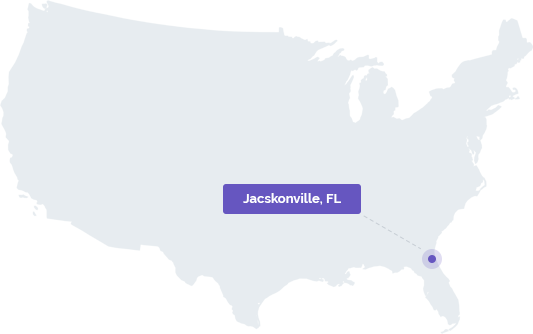 Virtual servers with instant deployment and tons of flexibility can be conveniently set up in Jacksonville, FL. Dedicated servers can be quickly set up and be ready for use in Jacksonville, FL.